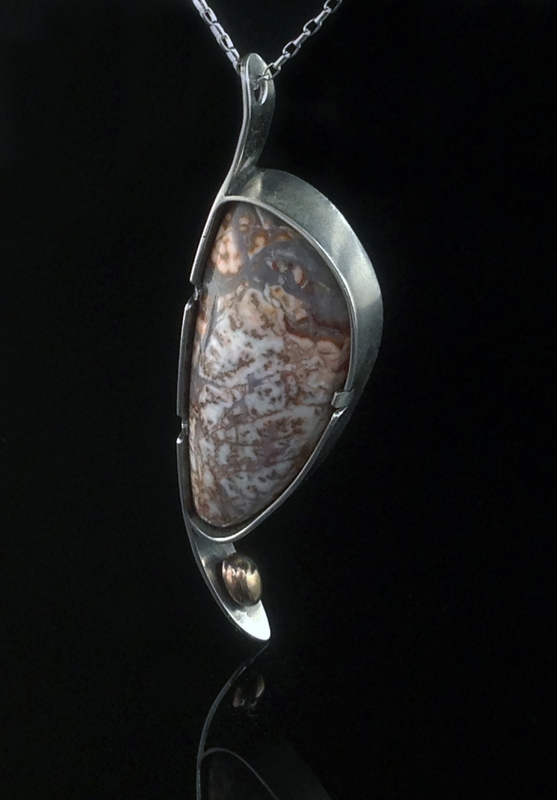 This necklace has a freeform Lace Agate stone enclosed in Sterling Silver with a Bronze accent. 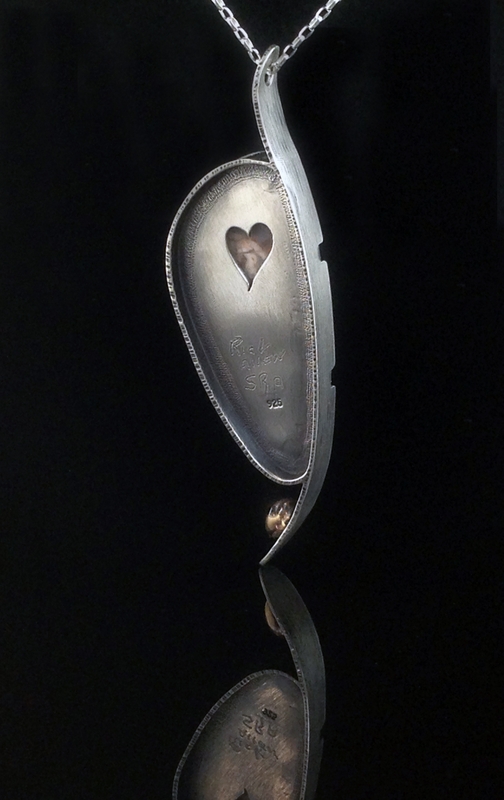 It hangs beautifully on a 20" Sterling Silver chain. This piece is one of a kind and measures 3-1/4" tall, 1" wide and 1/4" from the back to the front.